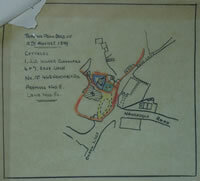 plan, Mrs Turner's Trust c.1923, and alternative version. On the death of Charles Patrick in 1895 the properties at Springhill passed to Elizabeth Ann Turner, nee Ashworth, granddaughter of John Ashworth and niece of Patrick's wife. As they were held in trust for Mrs Turner, the actual legal owners were a succession of her trustees. 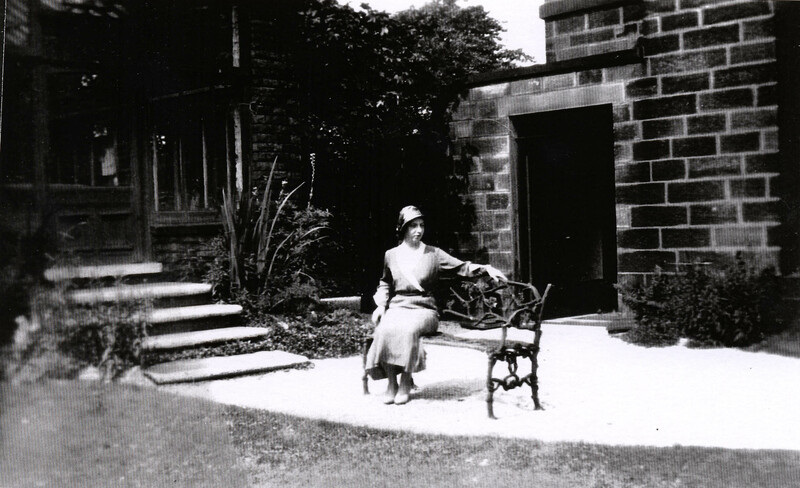 Mrs Turner died in 1921 and directed that her estate be converted to money prior to distribution. 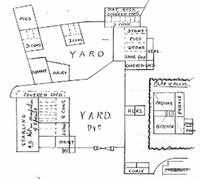 The precise terms of Mrs Patrick's will were contested and Mary Alice Law, sister of Elizabeth Ann Turner, was admitted to the Springhill properties in 1899. Whether this is as owner or trustee is unclear and the properties were referred to as 'Mrs Turner's Trust' on undated (and very fragile!) plans with the 1923 deeds to Sunset View. The division of Springhill house into two appears to have followed quite soon after Patrick's death. The 1901 census shows half occupied by EA Turner (but her husband Robert Charles is not recorded as present) and the other half by John Lord, flour seller. 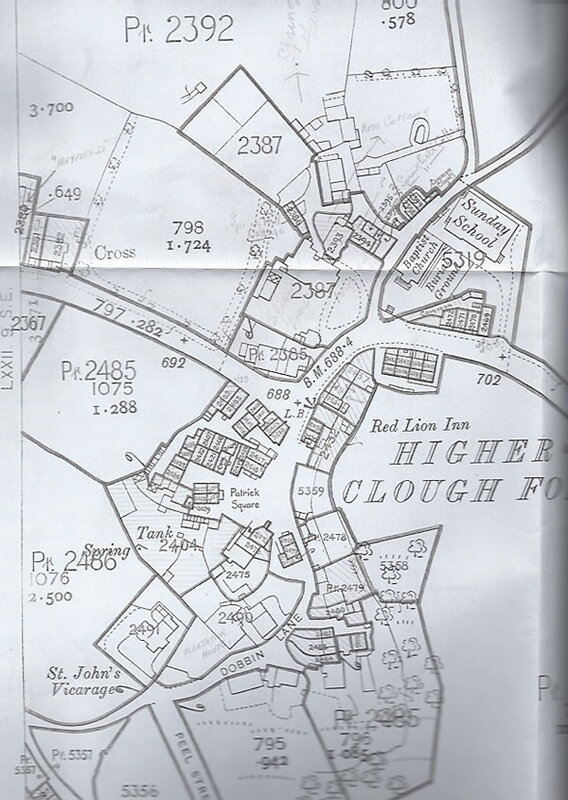 A land valuation survey undertaken in the second decade of the 20th century by Lloyd George outlines the properties at that time. These are summarised on the sidebar. 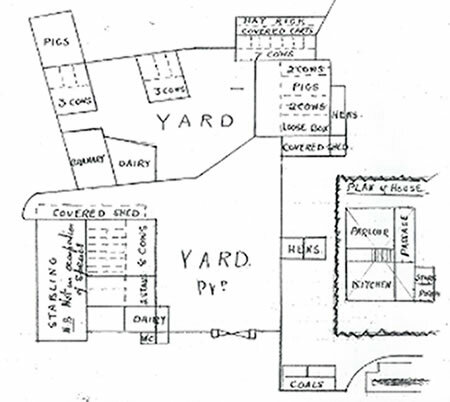 This plan of Springhill Farm is taken from this, c. 1910. Data (often incomplete) for the individual houses are on the 'houses' page. 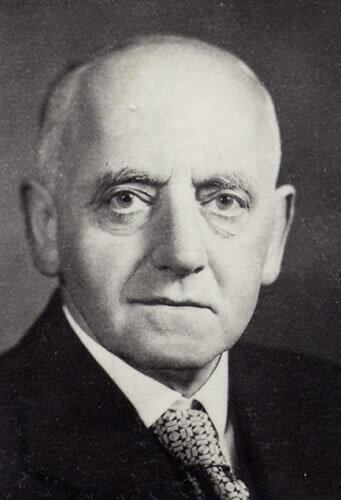 Just to confuse things, Rev Jenkyn Thomas was minister at Rawtenstall Unitarian church between 1902-1906. 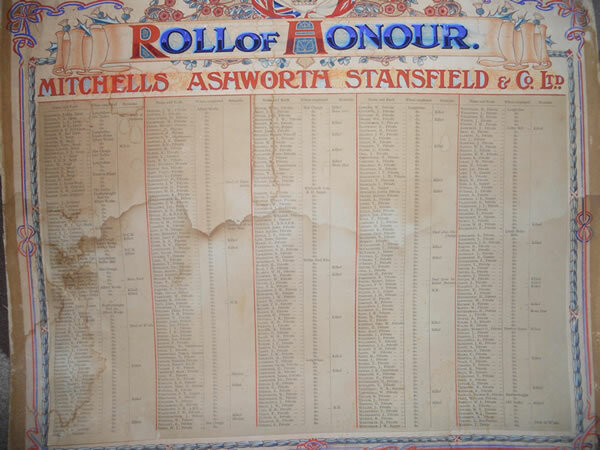 The 1911 census has Robert John Haworth Mitchell, Director, felt and woollen works, as living in Springhill House. 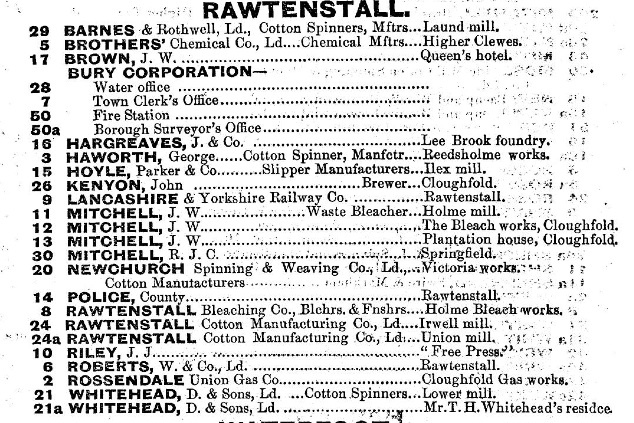 His firm formed part of MASCO (Mitchell Ashworth Stansfield Co Ltd), a well known Rossendale felt manufacturers. 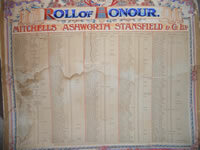 MASCO roll of honour, WWI, shows the impact of the war on just one company. 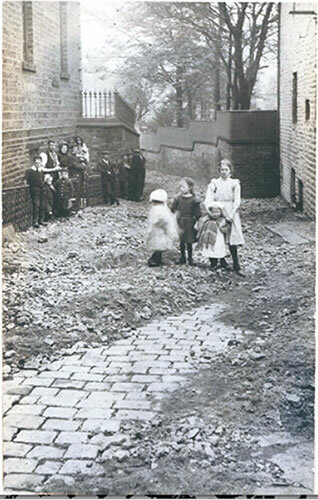 In May 1911 severe storms in Rossendale saw widespread flooding, including flooding down Edge Lane. The Rossendale Free Press gave extensive coverage and an appropriate extract is included in the sidebar. 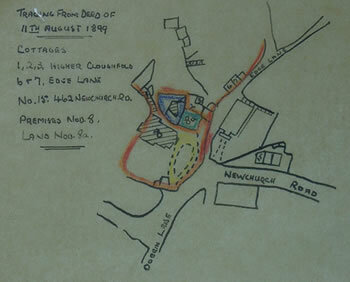 The 'tons of debris' deposited 'by Sion Baptist Chapel' is shown below. During WW1 a future Springhill resident, Dr E.L. Compston, was the Senior Medical Officer for the Auxiliary Military Hospital at New Hall Hey between 1915 and 1919. 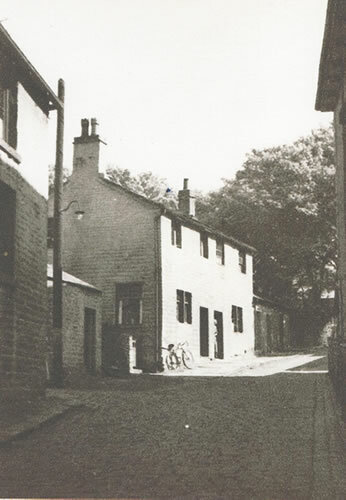 The rear portion of Springhill House was let in the 1920s to EH Holden (right). He was the headmaster at Bacup and Rawtenstall Grammar School and his ghost is said to walk the balcony there. The photographs below are courtesy of his daughter, Barbara, who wrote that "my father always flew the flag on special days". 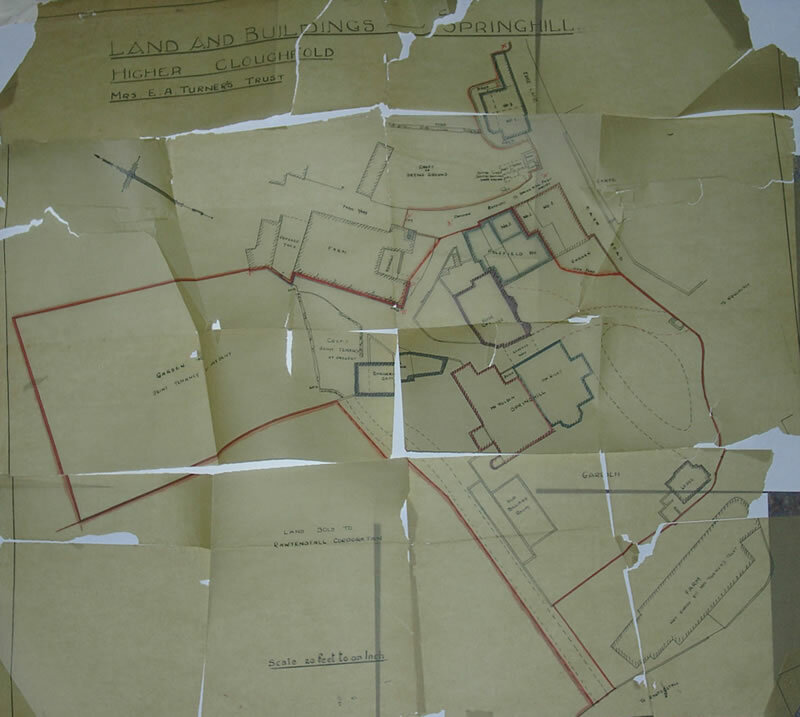 The Springhill properties were sold in 1923 to John Hart of Polefield Cottage. 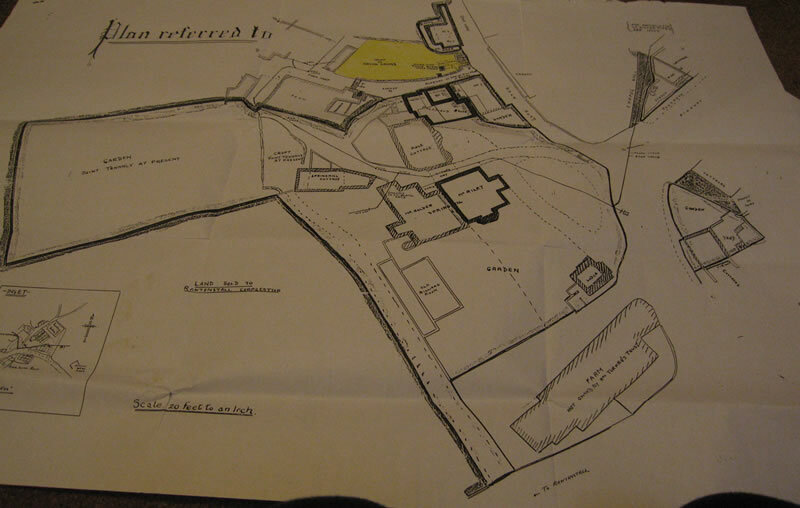 Hart continued to live at Polefield, but soon afterwards began to sell the other properties separately and so break up the estate. These various transfers are summarised in the abstract to title document of 1936 on the left. Margaret Holden, Lawn House, 1932. The steps lead to the billiard room, now The Bungalow.